The Ohio Buckeye, Aesculus glabra is native to Ohio and grows in the wild as an under story plant, but can tolerate sun. It prefers deep, rich and moist soil. It produces greenish-yellow flowers. Ohio buckeye above and below. 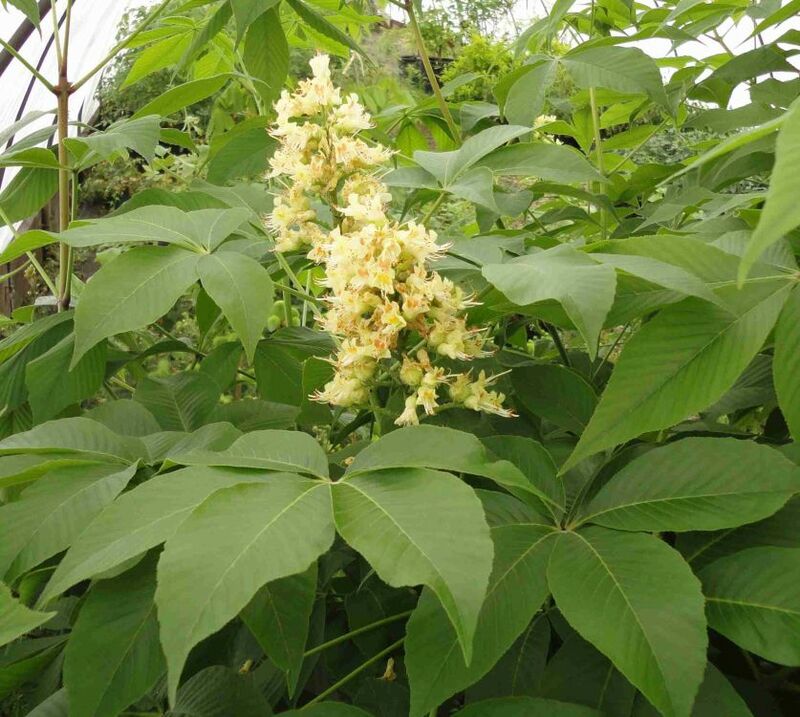 Red Buckeye, Aesculus pavia is a small tree with dark green foliage and bright red flowers. Related to the Buckeyes are Horsechestnuts. Aesculus x Carnea or Red Horsechestnut forms a beautiful tree with red blooms. Aesculus hippohippocastanum or European Horsechestnut forms a large tree with white flowers. But all produce our beloved buckeye fruit unless it’s Aesculus hippohippocastanum “Baumannii” or Double White Horsechestnut which produces no fruit. Which begs the question, is this tree a Buckeye fan or not?